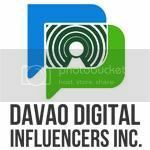 The road distance between Davao City to Manila is approximately 1280 kilometers, but if you ask about the flight distance its about 958 kilometers, regardless how far our place, Davao City still celebrates and welcome Pope Francis with gladness and with a big smile while watching the LIVE telecast of the local channels. Like with the other families, our family is eagerly waiting for the arrival of the Pope. Though we're not physically present I can feel the Holiness of the so called a MAN OF MANY FIRSTS. I came nearer to the TV to have a good look and at the same time a shot of a picture using my mobile, silly indeed, but this is my way of joining the crowd as they joyfully waiting for Pope Francis. As the plane about to land, you can hear children dancing and singing and crowds cheering "VIVA EL PAPA" and "BIENVENIDO PAPA FRANCISCO". The landing was even more exciting when it was being shown on multiple TV stations, many people watched the landing with high HOPES and SPIRIT. 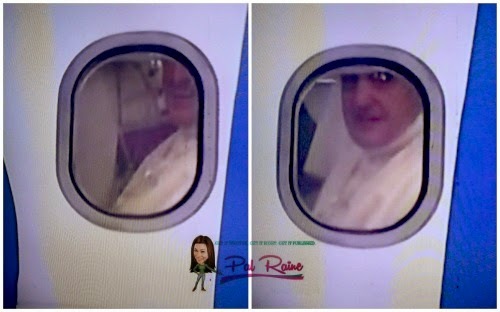 The plane landed safely at Villamor Airbase, and there was something that touches us all, my family feels the excitement and I guess we were touched by an angel especially when we saw Papa Francisco having a peek at the window. Honestly, I am not a religious person but I believed in God the Father, God the Son and God of the Holy Spirit. But it doesn't mean I hate RELIGION. I believe in religion, it unify people not to divide them. But seeing this man, so holy and you can feel his spiritual power, an aura that tell us all..."I am the SUCCESSOR TO SAINT PETER." To whom Jesus gave the keys of heaven and the powers of "binding and loosing". Naming him as the ROCK upon which the church builds, it strengthened my FAITH and BELIEVE in God. 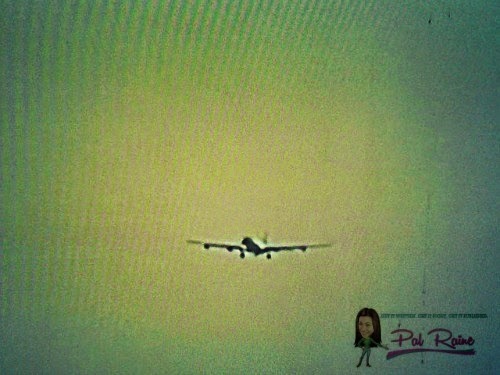 Waiting is over - - - POPE FRANCIS IS HERE IN THE PHILIPPINES! His smiles truly contagious, a smile that inspires, uplift and heals wounded heart and souls. And I affirm that smiling is a shared Universal Language. Nothing quite like a SMILE OF POPE FRANCIS it uplift your day and everyone around him smiles back with a spiritually uplifted souls. He is not tired of giving his smile to all the people waving and shouting his name every time the Pope Mobile drives along the road. Though the vehicle is too far away for the people to reach him, and the car drives so fast, he passes quickly. And we, watching TV at home hardly see what's going on, all I see is his unlimited SMILES and the waving of his hand or so I say the blessing and prayer he gives to the people he sees. And a loud scream, a noise become louder and louder as he approaches and even the news reporters cannot hear what they're talking about. The long wait is a bit hiatus as people leaves their places and as we at home try to relax from shouting. Yes, we shout and we cry for JOY. Papa Francisco really touches our life's, he has a wonderful, gentle aura which is very compelling. And a smile that magnified a million times, part of it have a great impact with his looks. He is a gorgeous man with a white cassock combine with his great SMILE, and a good and kindhearted man that really shines out with his character, what a dazzling combination. As what Pope Francis says in one of his liturgy, "those who strive to bring people together, to hold each other with MERCY and COMPASSION, who care about the feelings and opinions of others, are those who make this world a better place". A simple message which call for UNITY and PEACE. I'm not Catholic but I feel the purity and grace that Pope Francis shines upon the people. His smile is so inspiring and real. 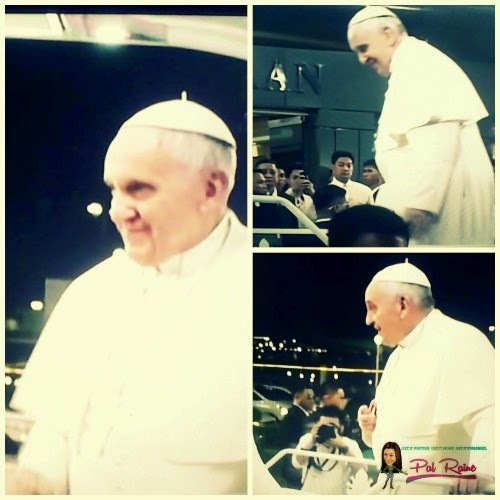 We are really so lucky to have a very humble Pope and even luckier that he visited our country and interacted with us. I am not Catholic, but I have this to say. The Pope is a very good man and well-loved by many. Welcome Your Eminence to the Philippines. Unity and peace makes Pope Francis came to us besides blessing the whole country. 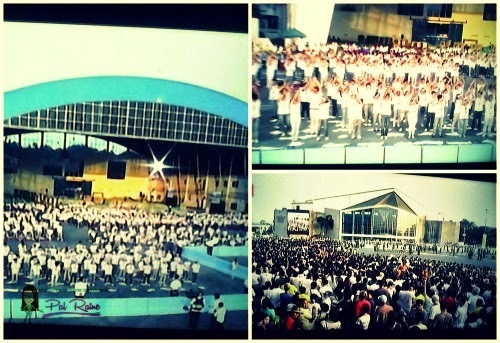 It really moved Filipino hearts and souls. He is so inspiring. He's so humble and cheerful. He does have a kind heart. I was fixed in the television when he arrived too. He's too adorable! Maybe that's why people of all ages even kids are drawn to him. He is the pope who simply practices what he preaches. So humble, so joyful and so holy.He is the ideal priest that is real. 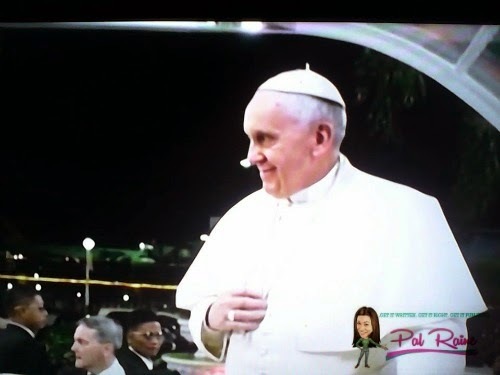 Lolo Kiko is indeed one of a kind POPE. Just like you , I am not that religious but just watching him on TV, smiling and waving at people, bring me to tears, for real. He have this kind of AURA and PRESENCE that made him HOLY at all aspects. Pope Francis is really amazing, no matter what others think. We only celebrate Christ. An honor for the Philippines to have the Pope visit. I was a kid when Pope John Paul visited. Would love to be in the Philippines too when Pope Francis decided to grace us with his presence. My facebook feed was filled with my family and friends being fortunate enough to have a glimpse of the Pope be it in real life or on TV. Pope Francis has the aura of getting everyone whom he met attracted to his charm and amiableness. He has a good disposition making everyone happy, contented and gratified in a Christlike attitude. He knows what he is doing. He is one of the anointed servant of the Lord. But he maintains his personalty as a normal and "ordinary" person does like laughing, crying, getting hurts. He also maintain the humility as exemplified by Jesus while in his earth ministry. He loves the little children as Jesus did. God bless Pope Francis. If I were in the Philippines at that time, I would have definitely gone to see the Pope as well. Hearing his mass or just catching a glimpse would make me feel lucky.